Bringing together green space advocates to raise awareness of parks, green spaces and natural areas in Winnipeg. space and a unique opportunity to create a legacy for the next 100 years. The 2017 public survey with 34 options showed “passive uses of the space are the most desired by the public (walking, picnicking, and jogging)”. A tennis stadium and shortened golf course was the first option chosen by the City. When this option was rejected a soccer field and shortened golf course at a cost of $500,000 was put forward. The proposed soccer field is to be located beside an existing soccer field and will require a large fence to protect players from golf balls and the removal of trees. The City has $1 million to spend on the outcome of “Re-Imagining the Canoe Club” public consultation. Protecting, restoring and enhancing this green space would be an investment for future generations. 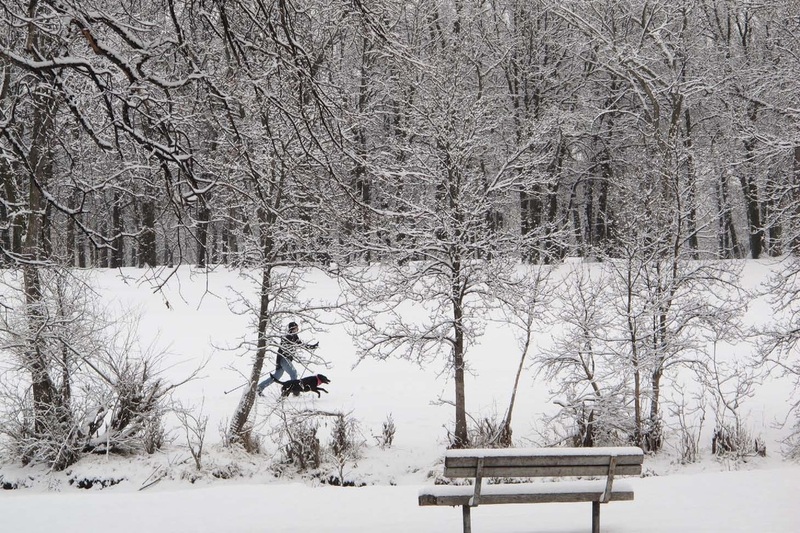 It would allow the City to show its commitment to keeping this space accessible to all for nature and recreation and would provide ecological and health benefits to a growing population for years to come. 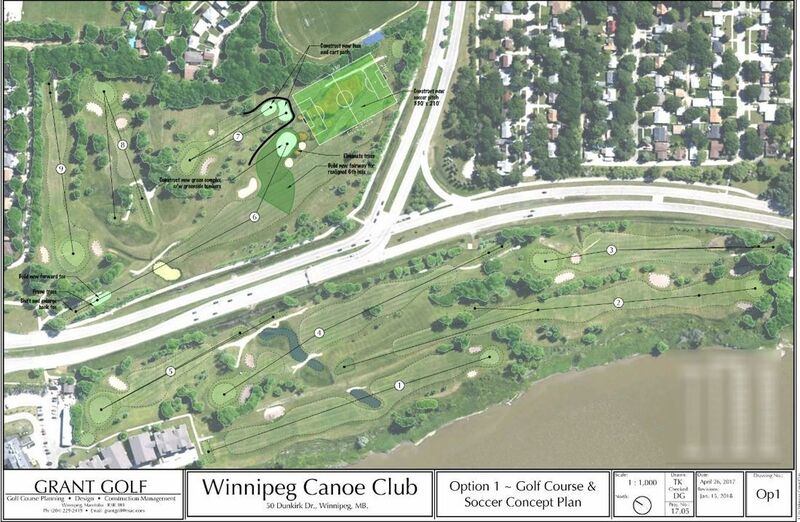 ​What are the long term plans for the Canoe Club and how does this fit with the neighbourhood? Join us to share your vision and insights for the City’s long range planning process. If you care about greenspace and natural areas and how they contribute to all facets of our City your voice needs to be heard. Winnipeg continues to build upward and outward, the squeeze on greenspace, urban canopy and natural areas is being felt more keenly than ever. The next couple of years are critical to protecting the remaining fragments of our natural heritage. An opportunity for the public to hear, and ask candidates about their commitments to community, people and the environment. OURS-Winnipeg is a co-sponsor of this forum and will be asking questions about the City- owned golf courses and City-wide green space planning. OURS-Winnipeg (Outdoor Urban Recreation Spaces - Winnipeg) is calling on Friends and Supporters of urban green spaces to become actively engaged in the 2014 civic election in Winnipeg. Golf courses owned and operated by the City of Winnipeg are once again under threat of sale for commercial and residential development. The City of Winnipeg lacks a Green Space Master Plan for the planning and management of its natural areas and green space infrastructure. Public input will be closed at the conclusion of this hearing on June 26. Description: The Riel Community Committee will hold a Public Hearing regarding a land use development plan for Precinct K in St. Boniface, south of Royalwood and Island Lakes. The Public Hearing will give Winnipeg residents an opportunity to comment on a plan that includes lands along the along the Seine, Winnipeg’s second longest river. The approval of this land use development plan is being rushed, forever closing the doors to an opportunity to sustain and enhance greenspace along the Seine river corridor. With no overriding regional park plan the continuous corridor of the Seine River is threatened. Contact 311: if additional info is required. The agenda will be posted 96 hours before the hearing at the City Clerks website http://winnipeg.ca/clerks Check to see the plan. The approval of this land use development plan is being rushed, forever closing the doors to an opportunity to sustain and enhance greenspace along the Seine river corridor. With no overriding regional park plan the continuous corridor of the Seine River is threatened. The Riel Community Committee of the City of Winnipeg is expected to vote in June on this development plan, known as Precinct K. The plan will direct all aspects of the future neighbourhood including bridges, roads, community centres, schools, water and sewer, parks and bike paths, to name a few. As citizens have been discovering, there is little provision in the City’s planning process to keep the riverbank and natural/naturalized lands secure from encroachment of commercial and residential development. A Transit Route is planned to run through land that was identified by the City as a high quality natural area. PWCC is not opposed to rapid transit but will offer discussion around the selection of the route and value of greenspace. The Crescent Park Rescue (CPR) and volunteers came together to combat the invasive European buckthorn shrub on September 28. Another session is scheduled on October 19th at 9:00 a.m. This Forum will be an opportunity for citizens to learn about and to offer their comments and concerns on how public land is being used (developed, sold, leased, allocated) by the City of Winnipeg. For details view poster here. Join CPR for an afternoon of fun and excitement with friends and family amidst the stunning beauty of Crescent Drive Park! You’ll find “chase the rabbit” for dogs, a bike parade with prizes for the kids, local musical entertainment, Divine Dogs and other food vendors, guided tours of the park, and so much more! You are invited to attend the inaugural tree planting ceremony set to take place at 2:00 pm. This small yet important act symbolizes our commitment to riverbank stabilization and parkland preservation for the benefit of the entire community. For details view flyer here. Public Forum III – Keep Winnipeg Greenspace Ours! Please join us at a Public Forum about the potential sale and development of seven City-owned golf courses/greenspace. Please let your friends and colleagues know. Ongoing public consultation on this very important issue. Ruth Lindsey-Armstrong – Chair, Manitoba Nature Summit Inc. When: Meet at 10:00 am on Saturday, April 28th. Include “Spring Petition Volunteer” in the subject line of the email. Bring: a clipboard and pen. Maps, petitions, handouts and training will be provided. Events in other areas of the city will be announced. Please join us at a Public Forum about the potential development of golf course/greenspace of seven City-owned golf courses. Please let your friends and colleagues know. Ongoing public consultation on this very important issue. Description: Public forum on Winnipeg greenspace. Panelists and audience participation. Discussion and information regarding the potential sale and development of city owned golf courses. Volunteers to help promote this event are welcome. Please join us at a Public Forum about the potential development of golf course/greenspace of seven City-owned golf courses. Please let your friends and colleagues know - here's a poster for your use - Keep Winnipeg Greenspace Ours Poster. This will be an opportunity to hear from expert panelists, speakers from February 14 who were turned away and audience participation. As the City has not provided an opportunity for public consultation on this very important issue OURS-Winnipeg will be forwarding the results of the forum to the Mayor and City Councillors of Winnipeg. Description: Public forum on Winnipeg greenspace. Panelists and audience participation. Discussion regarding the potential sale and development of city owned golf courses. THIS MATTER WILL BE IN FRONT OF THE EXECUTIVE POLICY COMMITTEE TOMORROW, WHO ARE KNOWN TO BE PRO DEVELOPMENT . ALTHOUGH EVERYONE SAID THAT IN 99% OF THE TIME DECSIONS FROM THE COMMUNITY CENTRE COMMITTEE ARE PASSED, THE FACT THAT THIS IS A SPLIT VOTE DOES NOT BODE WELL IN OUR FAVOUR. WE MET COUNCILLORS OLRLIKOW AND PAGTAKHAN (WHO VOTED IN OUR FAVOUR) IN THE LOBBY WHO SUGGESTED THAT FILLING THE SEATS TOMORROW WOULD BE AN EXCELLENT STRATEGY! OURS-Winnipeg was dismayed today, at the unexpected result at the Property and Development Committee meeting at City Hall. Citizens attended the meeting to speak to the motion requesting a public consultation process regarding the sale of the city owned golf courses. The agenda had been accepted by the mayor’s office, according to procedure. Citizens came to City Hall with the illusion they would be heard. In a very rare move, Property and Development committee chairperson Jeff Browaty, at the recommendation of Councillor Wyatt, denied public consultation based on a procedural technicality. More than 20 registered delegations were prevented from speaking to the report. A petition with nearly 6000 names could not be presented and a gallery full of citizens were sent on their way, shortly after arriving. OURS –Winnipeg would like to thank the 20 delegations that took the time to prepare and come to City Hall as well as the supporters who filled the gallery. It is unfortunate that the presentations were not allowed to proceed at they were from citizens who cared and it would have been informative for all of us. Democracy was hijacked today and citizens were treated disrespectfully. The OURS-Winnipeg petition will be presented at another appropriate time. We will also be looking ahead to provide another opportunity for people to present. OURS-Winnipeg is a city wide group committed to stopping the sale of city owned golf course lands for commercial and residential development. Councillor Jeff Browaty chaired the meeting. Committee members are Councillors Nordman, Pagtakhan, Wyatt, and Mayor Katz (ex officio). If you are concerned about this decision, start phoning or emailing City Council today. Please read background information for the motion that was to have been spoken to. Come join us for a meandering walk along the Seine River, through the Windsor Park and St. Boniface golf courses! Includes a short presentation on the importance of maintaining these golf courses as Green Spaces for all of us! Join us for your health, social enjoyment and give voice to the Land and the River! Sponsored by Save Our Seine (SOS) and OURS-Winnipeg (Outdoor Urban Recreational Spaces) in concert with the Actif Epica Winter Bike Race. Where: 815 St Anne’s Road. Note: The next meeting will be at Riverside Estates in the basement meeting room. 815 St Anne’s Road on the river side (east) This is at the first turnoff south of the bridge to Royalwood and across from Extra Foods. Once in the lobby of the building go to the right and down the stairs to the meeting room. No need to buzz anyone. Contact website or Facebook to volunteer. 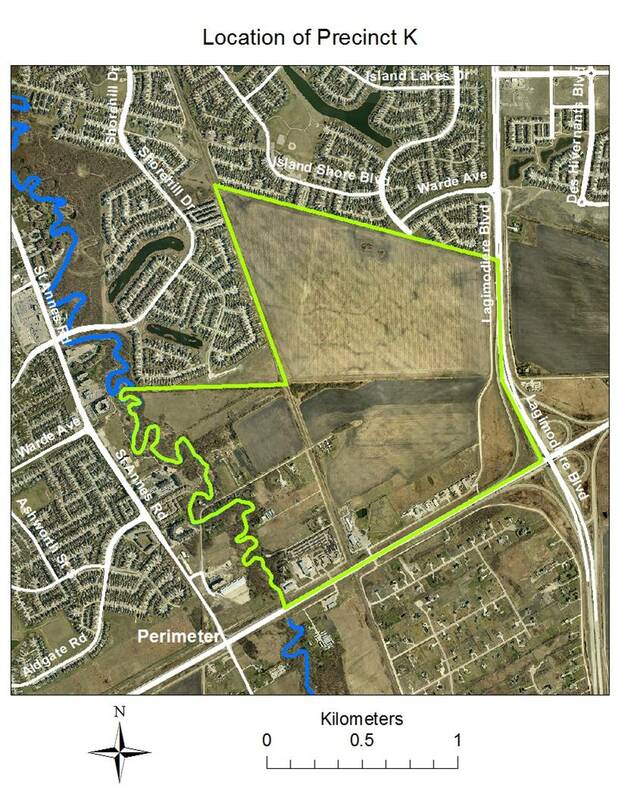 A meeting will be held on January 3 at City Hall at 6:00 pm to change the designation to a commercial C2 designation for the Medina Holdings Ltd. at Wildwood Park. The change is to facilitate the development of a 65 unit, 6 story condominium. The proposed building and the 98 required parking spaces in the flood plain will require demolition of the Wildwood Club curling rink, the swimming pool and current golf pro shop. City Centre Community Committee meeting on January 3, at 6:00 p.m., City Hall 510 Main Street.